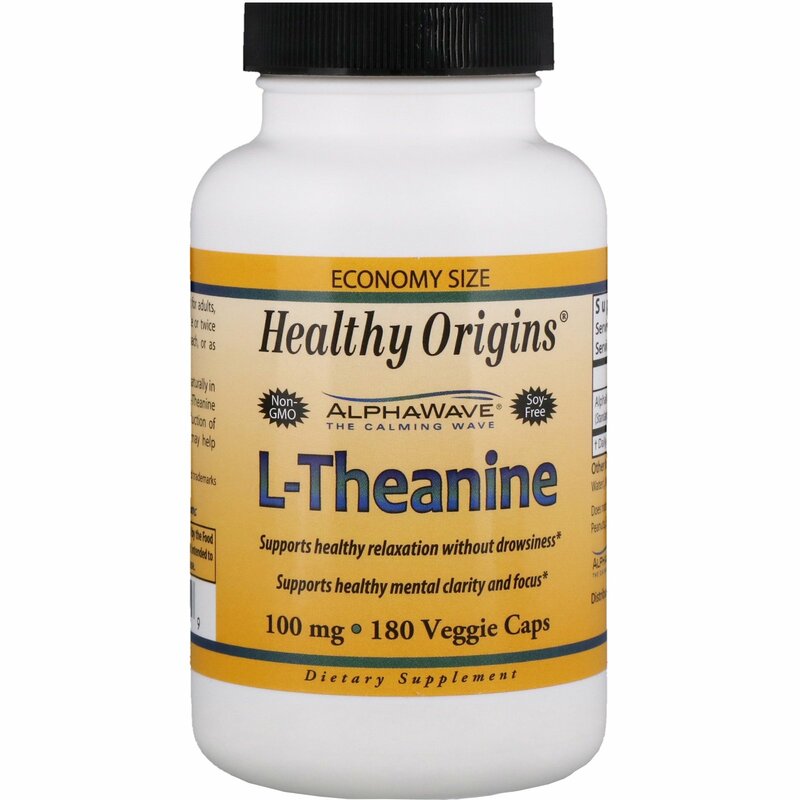 L-Theanine is an amino acid found naturally in the Camellia sinensis (tea) plant. L-Theanine has been found to stimulate production of alpha waves in the brain, which may help create desirable soothing effects. 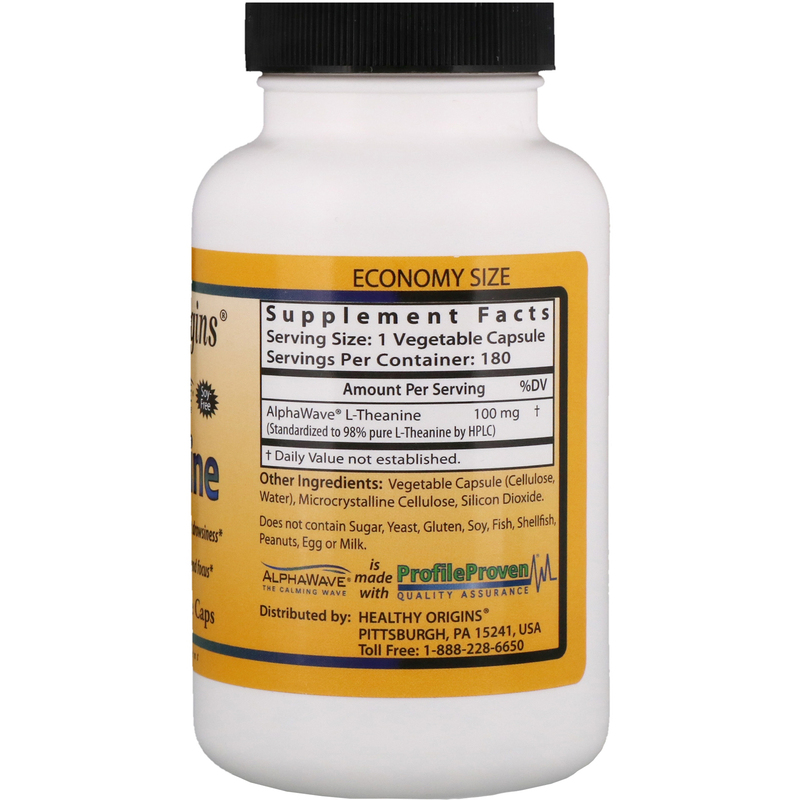 As a dietary supplement, for adults, take one (1) vegetable capsule once or twice daily, preferably on an empty stomach, or as directed by a physician. Vegetable capsule (cellulose, water), microcrystalline cellulose, silicon dioxide. Does not contain sugar, yeast, gluten, soy, fish, shellfish, peanuts, egg, or milk.